On Sunday afternoons, approaching the far end of the Paseo Maritimo past the Esmeralda Hotel, in the shade of eucalyptus trees, you might come across a group playing boules on the public courts. They also arouse interest of curious passers-by, who stop to watch, and sometimes give advice. It’s just the U3A Petanca group in action on the public pitches. They turn up, from 4 to 24 people at a time (there is no set group). Taking a playing card, the aces, twos, threes, etc., they form teams. 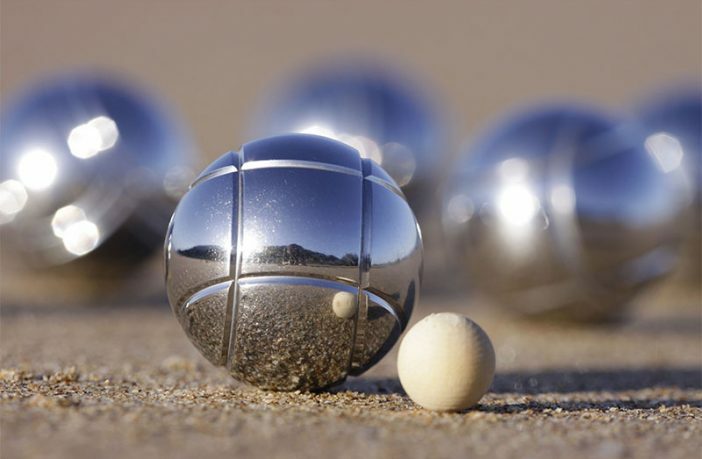 Everyone brings their set of metal balls (on sale everywhere) previously endeavouring to mark their own with nail varnish, paint or bits of sticky paper as the sets all look alike. Two or three games are usually played; the first of each team to reach 15 points wins. The scores are kept on metal boards on which fridge magnets stick. The afternoon’s efforts are finished off with a visit to a local bar!